We supply Mortar, Concrete and sharp sand cement mixes in 5kg, 10kg and 20kg. Our 5kg bags are packed in outers of 5 units and need to be ordered by the outer. 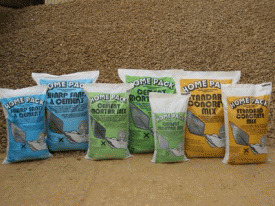 Our cement mixes are a convenient way fulfilling your DIY project for patching up brickworks, laying or patching concrete flooring or laying slabs.